A Pessimist Is Never Disappointed: Play Video Of One Of The Best Songs From New Alex Lahey Album Here! 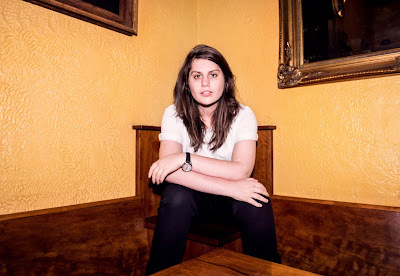 Play Video Of One Of The Best Songs From New Alex Lahey Album Here! I've been a fan of almost everything Alex Lahey has released in the last year or so and I am now very happy to report that her debut full-length album, I Love You Like A Brother will be out on October 6. I will, of course, be posting a review of that record closer to that official release date but, for now, I'm here to rave about the newest single from the record that's out now in the form of a video. "I Haven't Been Taking Of Myself" is a bright near-glam-stomper mixed with a bit of the ol' New Wave. It is a fantastic number and one that, like so many of the highlights on Alex's album, manages to blend about a half-dozen influences into a rich indie-pop blast of energy. I Love You Like A Brother will be out on October 6. You can find out more details on Alex Lahey via her official Facebook page, or official website.